NO ONE SHOULD PAY MORE THAN IS NECESSARY FOR ANY SERVICE. 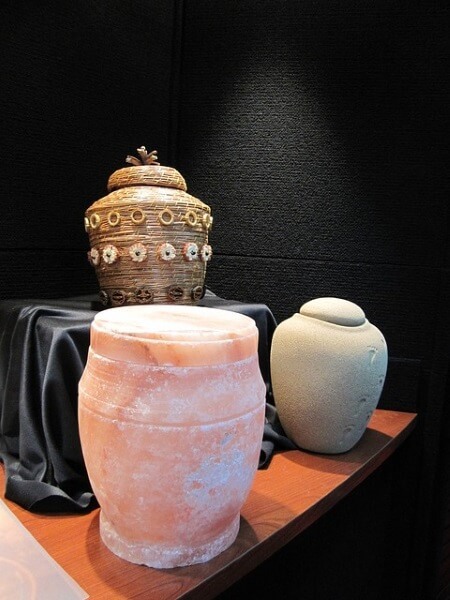 You can be assured our charges are based on actual expenses and that our total prices for cremations, urns and outside containers are very competitive. You will also receive courteous, personalized service from a dedicated staff of professionals who will take the time to listen and make sure every detail is followed to completion. Each of our staff counselors have 15 or more years experience, meeting the needs of many hundreds of families who we are privileged to serve each year. The goods and services shown below are those we can provide to our customers. You may choose only the items you desire. However, any funeral arrangements you select will include a charge for our basic service and overhead. If legal or other requirements mean you must buy any items you did not specifically ask for, we will explain the reason in writing on the statement we provide describing the funeral goods and services you selected. Prior to drafting any contract for goods or services, the responsible party or the decedent’s survivor who is handling the funeral arrangements is entitled to receive a copy of any preneed agreement in the possession of the funeral establishment that has been signed and paid for, in full or in part, by or on behalf of the decedent. This package includes the basic services of the funeral director and staff, transfer of the body from the place of death locally to a licensed climate-controlled holding and crematory facility, with use of a positive identification system, filing of the death certificate, the actual process of cremation with alternative container, common scattering of cremated remains at sea or returned to family in a temporary container. This package is sold on a preneed basis with optional travel plan. This package includes the basic services of the funeral director and staff, transfer of the body from the place of death within a (75 mile radius of one of our offices) to licensed climate controlled holding facility and to a crematory facility, with use of a positive identification system,filing of death certificate, the actual process of cremation with alternative container, disposition of the cremated remains by scattering in a cemetery garden, common scattering at sea or return to person designated within the Authorization for Cremation and Disposition. Disclosure: Our packages include required basic services and merchandise. Government and state fees vary and are not included in any of the packages. Our charge for a direct cremation (without ceremony) includes the basic services of funeral director and staff, transportation within our Service Area, use of licensed climate controlled holding facility up to 7 days and cremation. If you want to arrange a direct cremation, you can use an alternative container. Alternative containers encase the body and can be made of materials like fiberboard or composition materials (with or without an outside covering). The containers we provide are cardboard containers. The General Price List is available upon request.